This chapter is focused on one opioid drug: heroin. The reading material is from the National Institute on Drug Abuse (NIDA, 2017) Drug Facts report. The relationship between prescription opioids and heroin1. As you read this piece, consider the conclusion that making the prescription drug OxyContin (oxycodone) more difficult to abuse (harder to dissolve or crush for injection or “snorting”) in 2010 may have contributed to a significant uptick in heroin use, therefore an increase in heroin deaths (Evans, Lieber, & Power, 2017). 1Hopefully, you notice that this reading presents a different picture of the relationship between prescription opioid use and heroin misuse. Earlier you saw that as many as 80% of people using heroin started with prescription opioids. In this reading you see that very few people who use prescription opioids end up using heroin. How do we resolve this apparent contradiction? The first is talking about prescription abuse/misuse: people who have developed an addiction to the opioids and their movement into using heroin. The second is talking about people who use opioid medications as prescribed (and for only a short course of treatment). Click here for a link to our Carmen course where you can locate the assigned pdf file(s) for this chapter. You will need to be logged into our Carmen course, select Module 11, and proceed to the Coursework area. 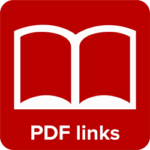 Under the Readings heading you will find a box with links to the readings for relevant coursebook chapters. Don’t forget to return here in your coursebook to complete the remaining chapters and interactive activities. Ch. 3: Heroin by Audrey Begun is licensed under a Creative Commons Attribution-NonCommercial-NoDerivatives 4.0 International License, except where otherwise noted.